In this final episode of a six-month series, Joyce and Jennifer brought the discussion full circle by describing the last stages of the transformational process. “The Great Clearing” is what they’ve dubbed the end of the human mind’s comfort zone as it relinquishes the last remnants of control and allows for the person’s desired life change to be complete. If you’ve been following their many shows on the multiple facets of transformation, you won’t want to miss this grand finale. Tune in to learn the signs and symptoms of the Great Clearing. You will feel more empowered, as the conversation will give reason to the many obstacles and challenges you have been facing in your own life. 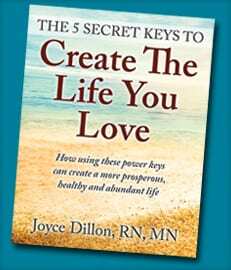 As always, Joyce and Jennifer have provided you with the insight and tools you need to ensure that you make your own important life changes successfully. Many of us have come across individuals who we may have just met for the first time, but we feel deeply connected to or we simply feel like we already know them. Other times we may have the opposite situation where we don’t hit it off with someone or there is a negative first impression; yet upon further development, the relationship grows into something beautiful and powerful. Listen to the replay as Joyce and Jennifer talk about what these encounters usually mean and why they are so important to nurture and cultivate. In this show they will also share insight about how to create a more deep soulful connection in your current relationships. Whether you are in a romantic relationship, a long-term relationship or you’re flying solo, there are many faces of love and a multitude of ways to feel and express it. Valentine’s Day is the perfect day to commit to creating a more loving and love-filled life. Love conquers all. It is the magical antidote to all wounds, and it has extraordinary transformational power. Listen to the replay as Joyce and Jennifer share stories of the many faces of love, its power, and how to harness it in your own life. Millions (if not billions) are experiencing loss and the grief that comes with it. Grief is a tough taskmaster, pulling us into deep, dark places within. In this show, Jennifer interviewed Joyce and Melody LeBaron who are co-facilitating a Loss & Grief Retreat February 23-25. During the interview Joyce and Melody shared powerful stories of healing as well as insight and tools to help others heal during tremendously trying times. It is possible to open a heart that has been deeply wounded or completely broken. Listen to the replay to learn more. We’ve all seen and experienced the detriments of living in a patriarchal society. In fact, today we are seeing it come to a head with mass amounts of conflict, chaos and crisis. For us to live in a more peaceful world, we must create it – first in our own heads and hearts, then in our homes and finally we have a mass impact. Join us as we discuss the importance of doing so and most importantly, how to embody your own peaceful feminine. Even if you’re a man, tune in. We all have both masculine and feminine aspects of ourselves within, and it’s equally important that we all know how to activate them and keep them balanced. Too often we put everyone and everything else first, leaving our own wellness and needs on the back burner. Over time this leads to burn out, illness and an unconscious state of misery. For some, this low quality of life becomes a norm. Say ‘no’ to this way of life, and say YES to a stronger commitment to yourself this year. Listen in as Joyce and Jennifer share motivational stories of personal challenges with this issue as well as tips and tools on how to make this your healthiest and happiest year yet. The older we get, the more memories we stack up against ourselves. Living with regret is one of the most burdensome ways to live. A solid dose of long-term regret can lead to illness, of both the mind and body, and can cause signs of premature aging. Listen to the replay as Joyce and Jennifer discuss the importance of clearing yourself of regret. They will also provide you with tools to help you get there so you can be truly free to live a life of purpose and passion. The end of the year can bring a mixed bag of emotions with it. Since this time of year tends to be family-oriented, it can be both blissful for some and agonizingly stressful for others. It is also a time when many souls cross over, leaving their loved ones feeling the anticipation and sadness of the anniversary of their beloved’s death. In the replay of this show, Joyce and Jennifer discuss the deeper elements of this season’s significance, and how to move through it with peace, joy and meaningful memory-making. With the global access of the internet, we have a lot of information at our fingertips. In today’s world we are understanding more about the brain and why it’s so crucial to take proactive care of it. In the replay of this show, Joyce and Jennifer will share ways to be the master of your brain so that you aren’t enslaved to it. You’ll learn simple exercises to help you make the most of your mental and emotional health. When our brains and higher minds are aligned, we are positively powerful. In this era of transformation, we are all learning the value of letting go. Relinquishing control is not easy to do, as it goes against the nature of the brain’s addictive need to stay in a predictable comfort zone. Yet in order to create the life we truly desire to experience, we simply must master this simple, challenging skill. Listen to the replay as Joyce and Jennifer discuss the multiple benefits of letting go and various ways to do it with greater grace and ease. On the heels of the Self-Help movement came the Self-Care trend. While it may seem to be an over-used phrase already, the actual practice of self-care remains under-utilized. If you are feeling frustrated, fatigued, stressed out or anxious, this show is for you! Allow Joyce and Jennifer to show you why you’re hitting so many walls and how to engage in self-care in a way that makes sense to you and motivates you to replace some of your high priority action items on your ever-increasing ‘to do’ list with activities that bring out the best in you. After this show, you’ll understand why doing so can dramatically improve your life. With Thanksgiving upon the average American, it is natural to give thanks for the many gifts we enjoy. Still, one single day of food and family gathering doesn’t fully leverage the extraordinary power of gratitude. Listen to the replay as we discuss the multiple powerful effects of gratitude on the human psyche and the physics of our thoughts, and why and how you can get a lot of manifestation mileage from a regular dose of ‘thanks-giving’. They will provide exercises to help you bring your dreams to a physical reality with greater efficiency. Sometimes it’s hard to know who your most authentic self is; much less embrace and express it. There is little in life that is more liberating than learning who you are, how to honor your most authentic self and then unleash her/him into the world. Daring to be yourself is one of the greatest gifts you can give yourself. Listen to the replay of this show as we explain why it is so important to learn how to do this – and then they’ll give you the insight that you need to actually do it! If only we could forgive and forget as easily and quickly as we would like. Many of us have experienced traumatic events and abusive relationships that have left us angry, remorseful, bitter and deeply wounded. As a result, it becomes more and more challenging to trust others and our own judgment. Listen in as Joyce and Jennifer help you navigate your way through the tumultuous parts of your path that you know you would like to release. Peace is at your fingertips when you learn to master the art of forgiveness. Much has been written about the subject of happiness, and yet nearly everyone continues to strive for it instead of simply experiencing it. As many of us know, happiness is not a byproduct of our material lives; it emerges from within. Yet most often human beings continue to seek happiness outside themselves. Listen to Joyce and Jennifer as they share their views on how to live in a state of true happiness – in spite of dire circumstances, surmounting obstacles or challenging relationships. Their perspectives could provide the tipping point to your ability to live your most authentically happy life. It isn’t difficult to see that we are in an era of transformation, and the changes are causing a tremendous amount of upheaval in all our lives, individually and collectively. Listen to the replay with Joyce and Jennifer as they share insight and tools on how to build resilience during these trying times – without putting walls around your heart, caving in to the pressures of negative emotions, or succumbing to the fight or flight instinct. Not only will you learn how to adapt in an ever-changing culture or environment, you will also gain wisdom and strength that will serve you for the rest of your life and empower you to ultimately thrive. As we have mentioned in previous shows, our beliefs are a powerful force within us that can determine our life experience. Left unchecked, our belief system can steer our lives in unintended directions and cause us great heartache. There is much to share and learn about the power of beliefs, and this show provides an introduction. We described the basics of how the belief system works, why it has so much power, and what you can begin to do to ensure that your belief system is in line with the life you want to live. We all have an ego – though we like to blame and shame others for theirs. The ego does have an appropriate role in our lives, but it is important that we understand how it oftentimes plays the wrong role by inadvertently sabotaging our true essence. Oftentimes at war, our heads and our hearts must be in alignment for us to live out our greatest potential and happiness. In this episode, Joyce and Jennifer talked about the role and importance of the ego: how and when to use it wisely, and how to gracefully move it out of the way so that our spirits can soar and our lives can thrive. If you’ve reached mid-life or beyond, you’ve probably experienced deep grief. Whether it’s the death of a loved one or the loss of home, employment or health, you may have experienced an abiding sadness that has changed you in some way. 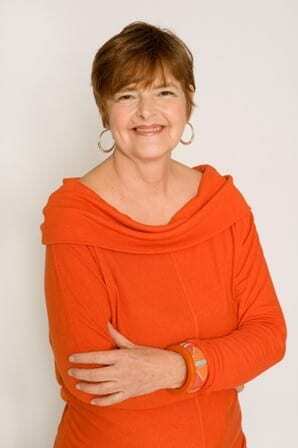 Join Joyce and Jennifer as they interview Melody LeBaron, Joyce’s co-partner at the Atlanta Grief and Loss Center, who will provide a closer look at the grieving process and why it is so crucial to our well-being. Learning how to process and integrate grief can allow for us all to more fully heal and revitalize ourselves. Listen or download as Joyce and Jennifer talk about the importance of having a vision. Without knowing what it is that we want to create, we are all prone to becoming victims of circumstance – a completely disempowered position and feeling. One of the most crucial steps in stepping into your greatest power and transforming the quality of your life is to discover what your true vision is. Though we don’t want to live in the past or the future, we must understand what we want so that we can begin the process of creating it. Otherwise, we will perpetually experience what we don’t want. Tune in to this show to gain the insight and tools to help you uncover what you most deeply desire. Listen or download this show to hear directly from a client who has put the principles to use and experienced the results. Join Jennifer as she interviews one of her clients about the transformational coaching experience. Her client will describe in detail what it has been like from the beginning- her original situation, her mindset, and how she used what she learned through the coaching sessions to completely transform an undesirable experience at the office. In today’s world, the concepts of religion and spirituality are often at odds with one another. Due to technology and the transparency it has created, many religions have been chastised for promoting perspectives that hurt individuals who do not subscribe to the same set of beliefs. As a result, many individuals have become numb to the concept of God, choosing to become agnostic or atheistic. Some may have simply disconnected from their traditional practice of faith. Joyce and Jennifer will discuss the importance of co-creation with the Divine: what it means, why it’s crucial and how to initiate the process and develop a Divine Partnership. Many adults long for a better life or lifestyle, but find themselves falling short of accomplishing the goals they believe will lead them to it. Some think a diet will give them the body they want. Others try to quit smoking. And of course, so many want to make more money. So why do so many individuals fail to achieve these, and ultimately fall back into their old habits? Join Joyce and Jennifer for this episode as they discuss the root of the issues that cause these perceived failures and provide a more sustainable route to transforming your life – for good. They both did it. You can do it, too. For many generations, much of mankind lived in a mundane and reactionary mode. Motivated by fear and a primal need for survival, many people believed that whatever cards they were dealt was all there was to life. Today, even those who subscribe to a more progressive or proactive belief system still struggle to understand their purpose. In this episode, Joyce and Jennifer discuss their basic philosophy of living purposefully and provide you with a fresh perspective that will pave a path for a new way of life that will bring you more joy and meaning.